Venice dazzles. It beguiles. During the day it glitters. At night it is so quiet, so filled with shadows, you can hear the drip of water off the oars of the gondolas, the closing of the shutters on the palazzi along the Grand Canal, and the low murmur of voices just around the corner. A city like no other, Venice is a collection of 130 islands linked together by bridges, canals, and history, like pearls on a necklace. The city that most tourists see is a city of enchantment. One of these islands served as both a haven and a prison for Jews beginning in 1516 ¾ the Venetian ghetto. The Ghetto Nuovo is no larger than a few city blocks. Walking across the tiny bridge which leads into the ghetto felt like going from, say, the splendour of the Frick Museum on Fifth Avenue to the Lower East Side. The square is bare except for a lovely marble wellhead in themiddle. Surrounded by tall, plain buildings, the equivalent of tenements, the island seems like a stage set. In 2007 my husband and I went on a walking tour of Venice. Wandering around the Ghetto Nuovo, an island probably chosen by the city fathers because it had that rarity in the city, a piazza without a church, I looked up at the tall, knife-sharp buildings and wondered how people led their day-to-day lives five hundred years ago in such cramped conditions. As more and more Jews arrived in Venice, first Sephardim from Spain and Portugal and, then Ashkenazim from Germany and Eastern Europe, the apartments expanded as more stories were added. Some buildings grew to seven or eight stories resting on shaky foundations. Existing apartments were carved into small and smaller rooms. By law, all windows facing outward to the city were boarded shut.It was not considered seemly for Jews to have a bird’s-eye view of their gentile neighbours. Christian guards patrolled the island in boats at night. The synagogues were housed in second stories so that gentiles who came into the ghetto would not be offended by the sight of Jewish artifacts. There was a massive wooden gate, guarded by a Christian guard who unlocked it at dawn and locked it at sunset. During the day, gentiles came to the ghetto to borrow money and to shop for secondhand clothes and gemstones. They came in search of the exotic much as adventurous New Yorkers might have visited the jazz clubs of Harlem during the 1930s. The sin of usury was forbidden to Christians. But money lending is an essential part of commercial life and so the Venetian government permitted Jews this occupation. In return, the government afforded a certain amount of protection to the Jewish population. Battles, treaties, and politics were events that happened to men. What about the women? I wanted to know. They would have lived in airless rooms, several families to a room. Standing in the middle of the square I tried to imagine how they survived. How did they cook food? Whom did they marry? How many died in childbirth? How many children survived infancy? How did they bury their dead? I resolved that when I returned home to Vancouver I would read a historical novel set in the Ghetto Nuovo which would answer all of these questions. But I found to my astonishment that no such novel existed. Yes, I thought, here is a gap which must be filled! 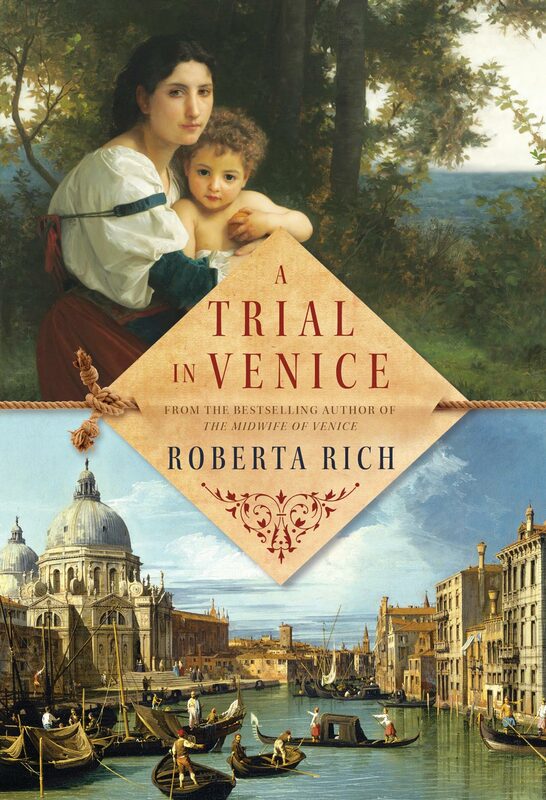 I read history books, devouring everything I could find about life in the Venetian ghetto. When I started to write my novel about Hannah, a Jewish midwife, I was overcome by what Alice Munro once called the “who do you think you are?” syndrome. I was not a historian. I was not a historical novelist. I was not a midwife. I was not even Jewish. I soon discovered that women’s history, their remarkable bravery and fortitude in the dreary cauldron of day-to-day life—in other words, the things that interested me most—is written in water. I soldiered on. My imagination provided the details. And so The Midwife of Venice was written.